The 19 different Liberty Head double eagles struck at the Carson City Mint between 1870 and 1893 form one of the most popular series in American numismatics. In recent years, values have soared for these coins due to shrewd promotions and legitimate collector interest. As a counterbalance, nice CC twenties from overseas have created an unusual supply of gem coins, causing values to drop. In this article, we will look at these and many other factors that make this such an interesting series. 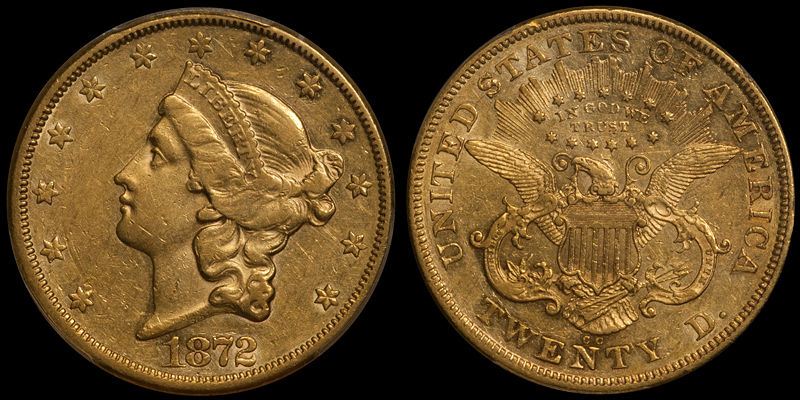 It should also be noted that two double eagle types are known for the series: Type Two (1870-CC through 1876-CC) and Type Three (1877-CC through 1893-CC). Let’s look at each tier. Coins in this tier are rare and available at a clip of approximately once or twice annually. Locating an example will be very difficult and it is highly unlikely that even a specialized dealer will have access to one. 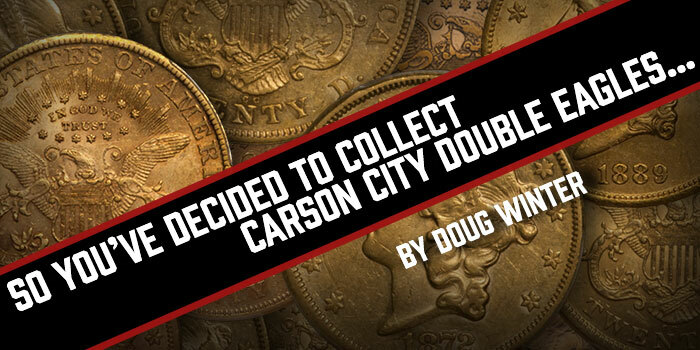 By a significant margin, the 1870-CC is the rarest Carson City double eagle. There are an estimated 35-45 known, and this census includes at least five or so that are damaged or harshly cleaned. 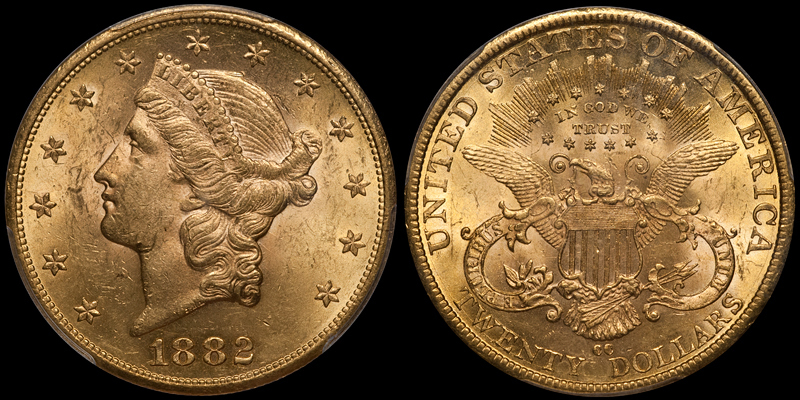 I have not seen more than four to six pieces that I regard as “choice and/or attractive”, and most 1870-CC double eagles are heavily abraded and unattractive. This date appears to be unknown finer than AU50 to AU53. The likely finest known, graded AU58 by NGC, was stolen years ago from an overnight shipment and has yet to be recovered. 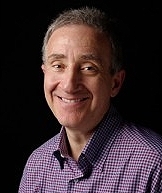 The frequency of appearance for this issue is very interesting. From 2005 to 2010, I personally owned (or had partial ownership) of nine different 1870-CC double eagles. Since late 2010, I’ve owned just two. During the 2000s, a collector named Donald Bently quietly hoarded 1870-CC gold coinage (and lots more) and this is a major reason why no less than nine 1870-CC double eagles sold at auction in 2014 (it should be noted that not all of these were from the Bently holdings). When Bently began hoarding 1870-CC double eagles (let’s say this was around 2000), an EF was available at around $100,000-125,000 USD, while an AU was valued in the $150,000-175,000 range. By the time this hoard was dispersed (in 2013-14), an EF had climbed to $250,000-300,000, while an AU would command $300,000-400,000. Basically, this date doubled in price in a decade plus. Interestingly, this level of price performance was actually exceeded by common Tier Four coins – see below. 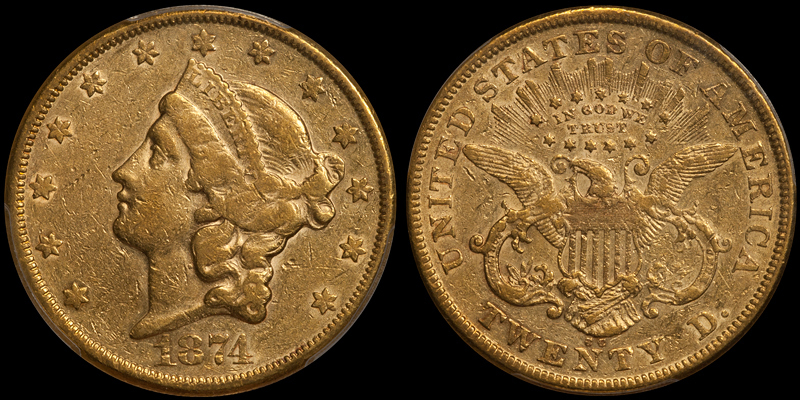 Best Value Grade/Buying Tips: Assume that the 1870-CC you’ll place into your set will be the lowest graded single coin, not to mention the least appealing. There is no “best” grade for this issue; a nice EF40 is preferable, in my opinion, to a dipped-and-stripped AU50. Coins in this tier are very scarce. The 1871-CC is very rare in AU55 to AU58 and exceedingly rare in Uncirculated; the other four dates are scarce in the higher AU grades and rare in Uncirculated, with most of the known high-grade coins in the MS60 to MS61 range. The 1878-CC and the 1879-CC are very similar in overall and high-grade rarity. For both dates, an estimated 300-400 are known with most in the EF40 to AU50 range. These two dates both have fewer than 10 known in Uncirculated, and both are extremely rare above MS61. Nice EF examples of both dates are good values at current levels (around $12,500-15,000 each), while nice AUs are currently priced in the low-to-mid $20s. Of the two remaining Tier Two dates, the 1891-CC is the scarcer by virtue of its lower mintage. The 1885-CC is similar to the 1878-CC and the 1879-CC in terms of overall rarity, but it is more available in Uncirculated. 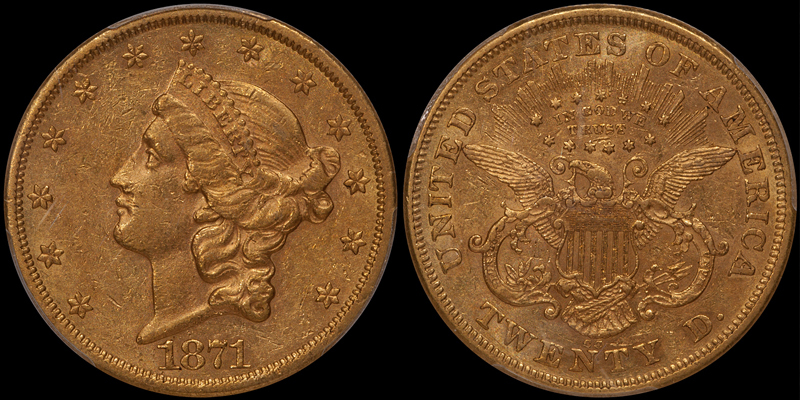 The 1891-CC is likely the third-rarest CC double eagle in terms of overall rarity. This date saw less circulation than the issues from the 1870s, so it is seen more often in nice AU and the lower MS grades but it is very rare in properly graded MS62. The collector will need to budget $15,000 or so for a decent 1885-CC and more likely he or she will have to spend $25,000+ on an 1891-CC. 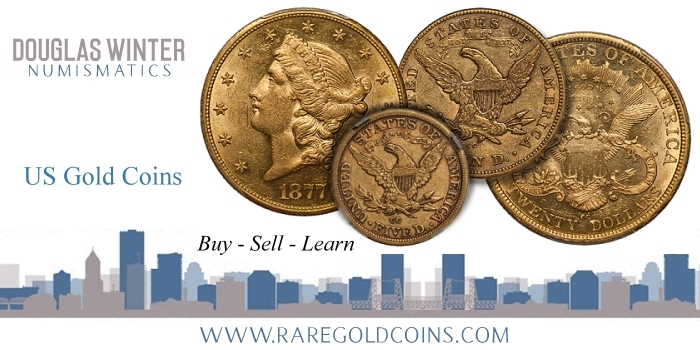 Best Value Grade/Buying Tips: With the 1871-CC, you’ll likely have to settle for a nice EF45 to AU53 coin, although the occasional AU55 makes its way onto the market from time to time. If you are offered an 1871-CC that appeals to you, buy it, as the possibility of locating another one is remote. The 1878-CC, 1879-CC, and 1885-CC double eagles are very good values in nice EF45. They are more expensive in the higher AU grades, obviously, but are not priced out of reach for many specialists. In Uncirculated, all three of these dates have become very expensive and I would hesitate to purchase one at current levels unless it was an outstanding coin with no doubt about its originality. The 1891-CC is more available in higher grades but it is also a date that might make more sense in AU58 than in MS61. Depending, of course, on the quality of the coin(s). Coins in Tier Three are slightly scarce. By this, I mean they are not likely to be in dealer’s cases at most shows and they are missing from most auctions. Of the three dates in this tier, the 1872-CC is by far the scarcest and I gave very serious consideration to placing it in Tier Two. The 1872-CC is exceedingly rare in Uncirculated and I’ve never handled one better than MS60. It is just a bit less rare than the Tier Two dates in the higher AU grades. I’ve knocked it out of that tier due to its being more available than these dates in collector grades but I could be persuaded to upgrade it with very little argument. A nice AU example will cost $20,000-30,000, so this is clearly not a coin to pursue without a good idea of what to look for. A legitimately Uncirculated example is a $50,000++ coin and you’ll be lucky to find one. Both the 1873-CC and the 1877-CC have had their ranks of EF and AU coins swollen by recent hoards from overseas. 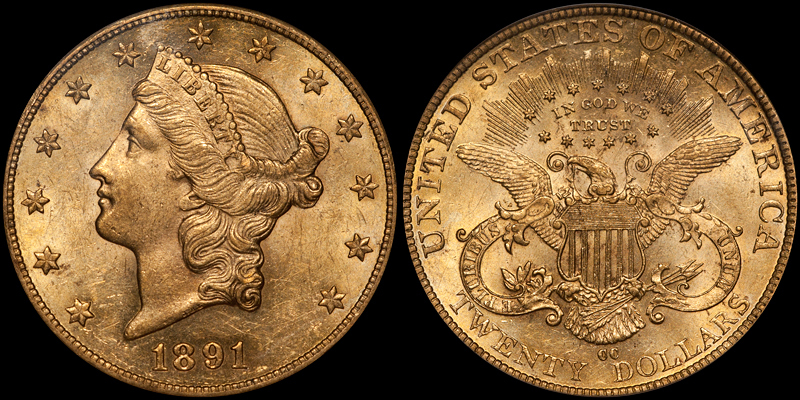 The 1873-CC remains very scarce in properly graded AU55 and AU58, but I find it a bit overpriced in lower grades. The 1877-CC is a bit overrated in the MS60 to MS61 range but it remains very rare in MS62, and I’ve never seen one finer than this. In lower grades, this date is easily located and the collector should be finicky in selecting the right coin for his or her set. Best Value Grade/Buying Tips: If you are working on a fancy set of CC double eagles, I’d suggest you focus on really nice AU58s as these are much better values than Uncirculated coins. If you feel compelled to go the Mint State route, exercise caution – especially with MS60s; many of these are former AU55 or AU58 coins that have gradeflated. As with all coins for this set, I’d recommend being patient and avoiding anything that is too bright or too baggy. All of the Tier Three coins are available with good eye appeal, but the 1872-CC comes nice less frequently than its counterparts. The 10 dates given Tier Four status are all common in any circulated grade and, with the exception of the 1874-CC and the 1882-CC, they are reasonably easy to locate in the lowest Uncirculated grades. At a major show, you could likely find most of these dates in EF and AU grades and even a decent percentage of them in MS60 to MS61. Two of these dates have odd grade distributions. The 1874-CC is very common in EF and lower to mid-grade AU, but it is scarce in properly graded AU58 and quite rare in Uncirculated. A decade ago, this date was my favorite sleeper issue in the CC double eagle series but higher-grade examples have gotten really expensive. As an example, a very nice PCGS MS62 brought $90,000 in the Heritage 2018 sale. 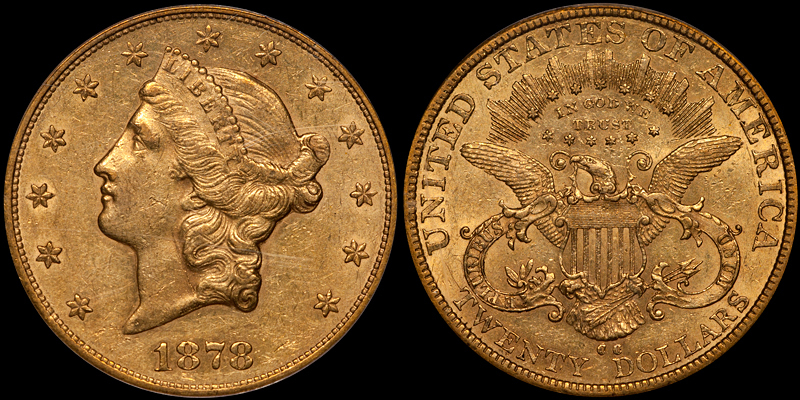 Now, this is a really top-notch coin for the date, but 90 grand for an 1874-CC? Yikes! The 1882-CC was formerly a rare date in Uncirculated but hoards and gradeflation have made it far more available than a decade ago in MS60 and MS61. Properly graded MS62s remain scarce but with all the coins graded MS61 (currently nearly 50 at PCGS alone) the chances are good that this date will become more available. At the current $25,000+ value for an MS62, this seems like a bad use of coin money, in my opinion. The other eight dates are easy to locate in all EF and AU grades and can be found without great effort in MS60 to MS62. It should be noted that any Carson City double eagle in properly graded MS63 remains very rare and will likely stay so. PCGS is tough on CC double eagles in this grade and I can’t see more than a small number of today’s higher-end MS62s becoming -63s. And properly graded MS63s, regardless of date, will always be in demand by type collectors seeking a single high-grade piece from this branch mint. I mentioned in the opening paragraph that lots of Carson City double eagles have entered the market during the last few years. 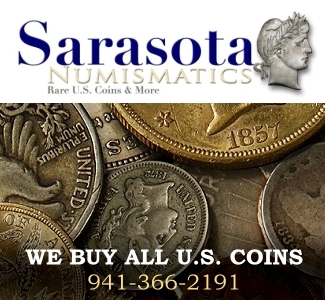 These coins have come from overseas and they are characterized by nice deep, natural color and the sort of “crusty” appearance that I have urged collectors to search for ad infinitum. From what I can tell, at least 80% of these coins are Tier Four dates. 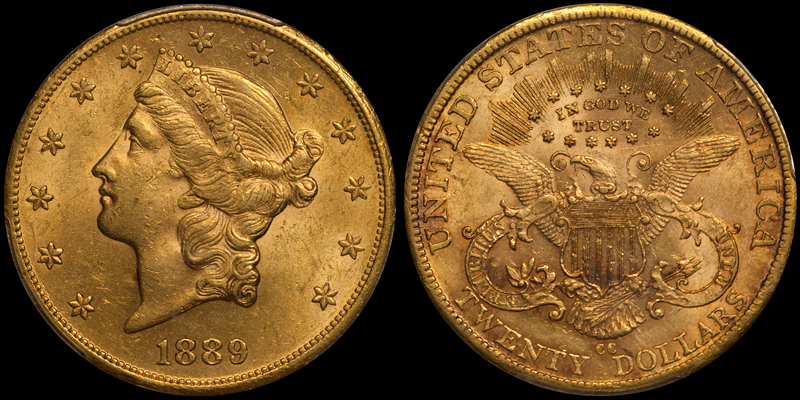 As an example, I have seen wholesale group lots of nice AU53 to AU55 1884-CC and 1890-CC double eagles consisting of dozens of coins. This has caused a price correction on these dates; one that is actually not undeserved. In my opinion, common date CC double eagles got too expensive a few years ago – particularly common dates in AU58 and lower Uncirculated grades. 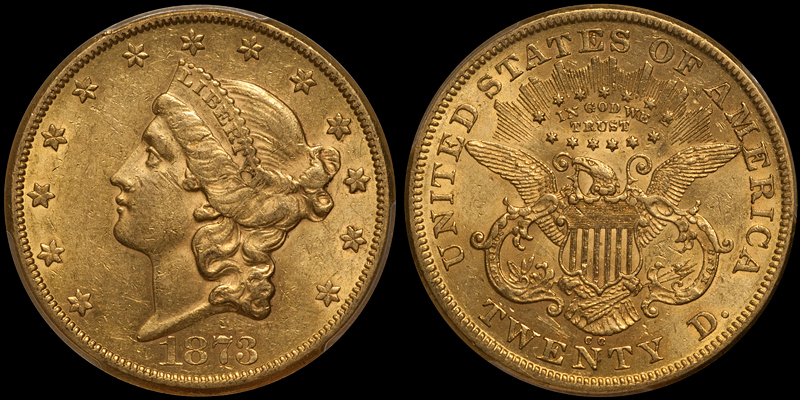 A coin like an 1889-CC in AU58 went from $6,000 in 2012 to $11,000 in 2017. At $6,000 this date makes sense. At $11,000 it’s just not good value. In early 2019, this date has retreated back to the $6,000-7,000 range and the chances are good that the coin you are offered today (likely from the big new hoard) is MUCH nicer than the one you would have been offered in 2012. Best Value Grade/Buying Tips: For a number of years, I virtually boycotted the Tier Four dates as I held that they were too expensive. At today’s kinder, gentler price levels, I am again a buyer. 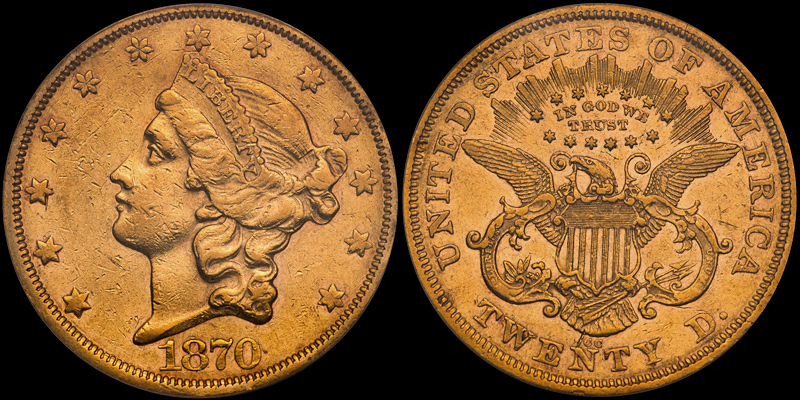 I see some really nice EF and AU common date Carson City double eagles at shows and at auctions and they make a lot more sense at today’s levels. Always understand that the Tier Four dates exist in large quantities and as a buyer, you can be ultra-selective. If you want to assemble a date run with similar deep, natural color you can likely do so here; not so much with the Tier Two and Tier Three issues. My two favorite grades for these common dates are EF45 and AU58. The former I like because you are basically buying the coin and not the grade; the latter I like because you are getting most of the “oomph” of an MS61 coin at a major price discount. Would you like to work with the world’s leading expert on Carson City double eagles in assembling a high quality set? Contact me at (214) 675-9897 and let’s discuss your collecting goals.